This Valentine’s Day surprise the love of your life by taking them to the biggest EDM festival in Chennai, the Global Sound Festival. The EDM bash would take place at the VGP Golden Beach Resorts, on February 14, 2015, from 1:00 pm to 10:00 pm, where you can dance all day long. To make sure you sweep your Valentine off their feet, the EDM blast also has an exclusive VIP zone, where you would get to enjoy 10 drinks of any premium brand and a separate lounge for VIP. This year, the biggest EDM festival will feature names like Basshunter, Kash Trivedi, Candice Redding, Sound Avatar, Chubby and many more, performing endlessly for your entertainment. Jonas Erik Altberg who is better recognized by stage name Basshunter, is a Swedish singer-songwriter, DJ and record producer. Renowned for his number one hits ”Boten Anna”, ”Vi sitter i Ventrilo och spelar DotA”, ”Now You’re Gone” and ”All I Ever Wanted” Basshunter also enjoys great popularity for his performances at live concerts. Basshunter has so far released around six albums, two of which have been released in the United Kingdom and his UK single, ”Saturday”, was released in July 2010. As one of the most popular DJs in the region, Kash Trivedi is set to knock down the horizons of House music culture around. Kash is known for his eclectic sounds, rising beats, spiking emotions, grooving bodies and progressing moods. 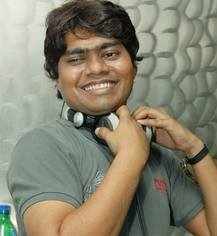 Kash Trivedi is an Indian Progressive DJ and Producer. Currently winner of ‘Producer of the Year’ and ranked No.1 in India for Progressive Music. Candice Redding is one of the few female DJs from South Africa with a repertoire of performing in almost every international club. She specializes in Electro House, Progressive, Deep Techno house and Techno music. Sound Avatar, a name renowned among the lovers of EDM music and the DJs who specialise in the EDM circuit. Sound Avtar has played in various popular music events such as Sunburn and NH7 Weekender. He is one of the hottest dub artists to come out of the Asian zone in recent times. He has also won an award for Best DJ in dubstep in 2013-14. Loved for his versatile music sense, DJ Chubby is an immensely talented and technically progressive master of dance music in the city. The Indian producer-DJ duo Shuvro Talukder and Anurag Sen founded the most happening band, the Thermal Project. Every month, they host their very own podcast titled ‘Sonic Session’ which is a big hit amongst EDM fanatics around the globe. He has been spinning the best of ‘Da Beatz’ for over a decade now and contributes strongly to India’s growing nightlife with his cutting edge sounds. DJ Walley is well known for having a unique ‘Over the Top’ way of presenting different kinds of genre and styles of mixing. Exceptionally gifted Disc Jockey (DJ) with more than 15 years experience in presenting music and visuals, hosting music festivals, club nights, private parties and running mobile discos. Global Sound Festival was launched on December 31, 2013 and is a module of the Sparkkz Event Management, which was set up with the motive to promote the up and coming EDM Artistes, while helping them work alongside established musicians. So, hurry and book your passes now for this spectacular EDM blast, which is all set to sweep you off your feet this February 14, 2015 from 1:00 pm to 10:00 pm at the VGP Golden Beach Resorts.